Wondering if Chiang Rai is worth visiting? Well having spent nearly two weeks in Chiang Rai, in my opinion it definitely is! More chilled out than Chiang Mai, but much more than a sleepy smaller brother. 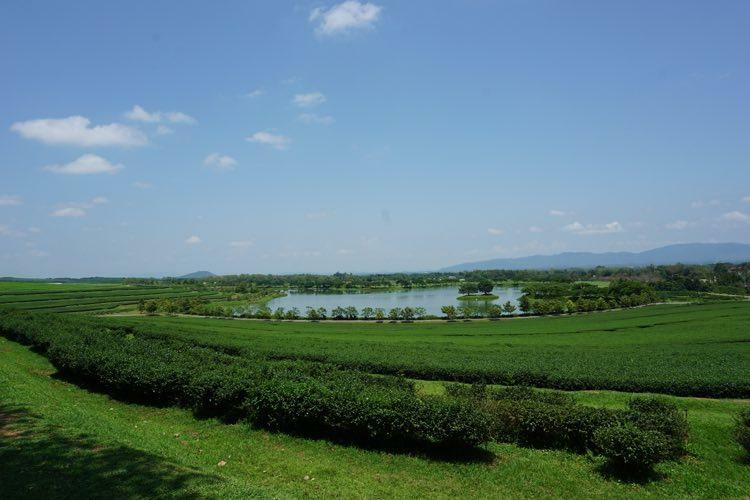 There is lots to do in Chiang Rai that will keep you occupied. In fact it was probably our favourite city in Thailand. We had planned to visit for a few days, but ended up staying for nearly two weeks, even making time for a road trip around the province. So is Chiang Rai worth visiting? If you haven’t got the hint yet, then yes, it definitely is! Here are 15 of our favourite photos that we took whilst in the city. 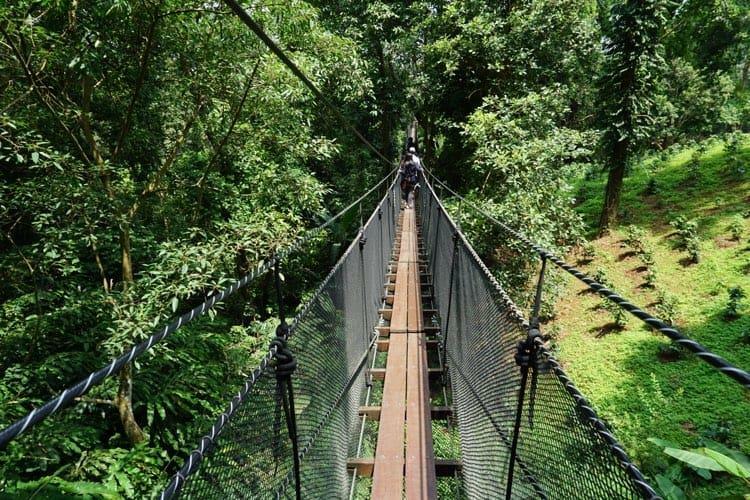 Hopefully they’ll convince you to take a trip to Chiang Rai…. P.S. The Bus Ride isn’t too bad…. If you’re worried about the bus ride, then is was better than we expected, only about 3 1/2 hours and through some beautiful countryside. There are three types of bus (VIP, 1st and 2nd), I would suggest going 1st as it combines good value and a nice coach. The cost for us in May 2018 was 160฿ per person, check out GreenBusThailand.com. WHY VISIT? 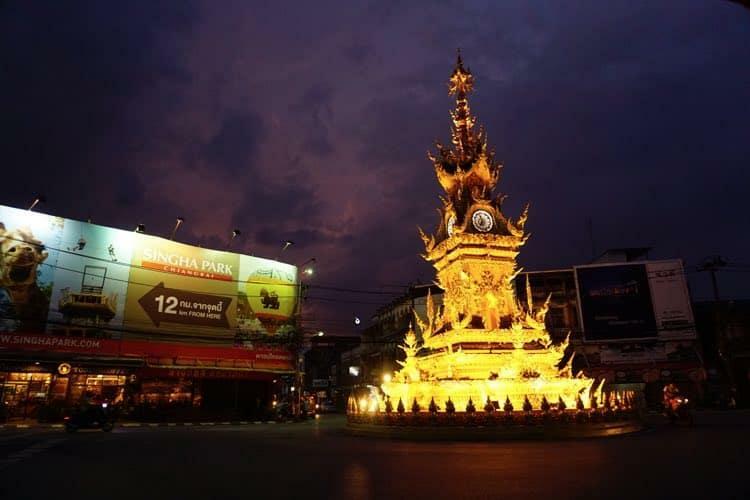 : Spectacular enough during the day, at night Chiang Rai’s clock tower puts on a Vegas style coloured light display. OPENING TIMES: Timings for the light show are 1900, 2000, and 2100 every evening. LOCATION: Right in the heart of Chiang Rai. WHY VISIT? : Every Sunday Ratchadamnoen in the Old City is closed and a kilometre long market springs up selling pretty much anything you can imagine. OPENING TIMES: From 1900 on a Sunday. COST: Free (until you give in to the enticing smells of street food!). LOCATION: Ratchadamnoen about a 10 minute walk from central Chiang Rai. WHY VISIT? 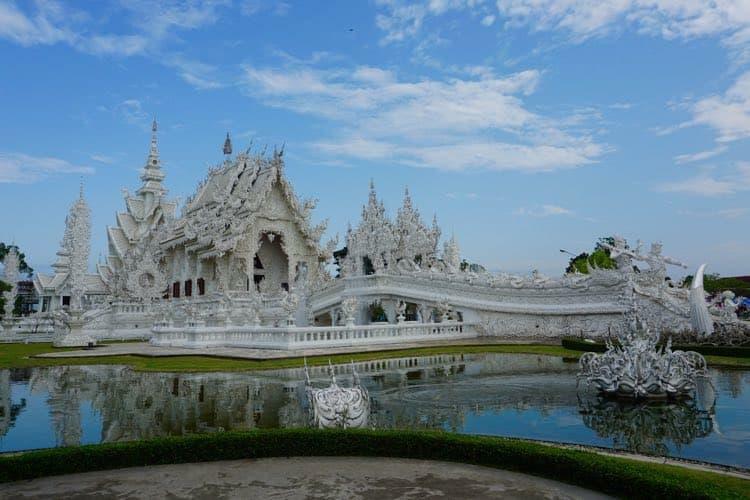 : One of the most iconic places in Chiang Rai, and the most beautiful in the whole of Thailand. The restoration project and brainchild of Thai artist Chalermchai Kositpipat, it is still a work in progress with the expected finish not until 2070! Opened to the public in 1997, it has even survived a 2014 earthquake. COST: 50฿ for foreigners (this has recently changed, so any articles claiming it’s free are outdated). LOCATION: 15km South-West of the town centre, a bus will cost you around 20฿ or a taxi 250฿-300฿. WHY VISIT? 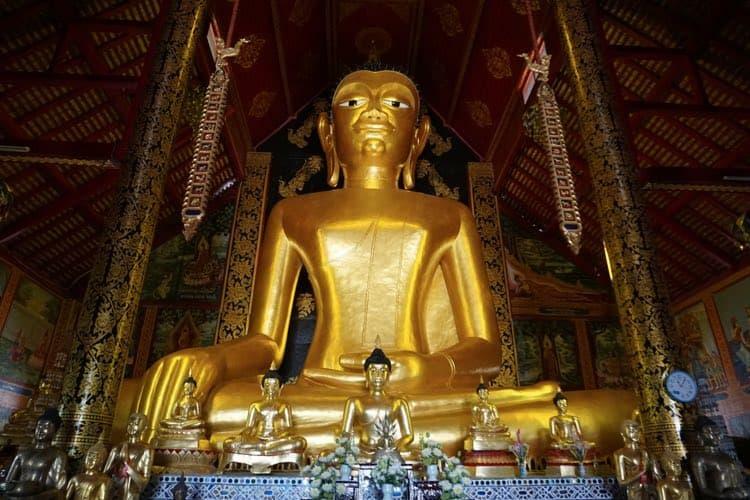 : Original home of the most revered statue in Buddhism, The Emerald Buddha. 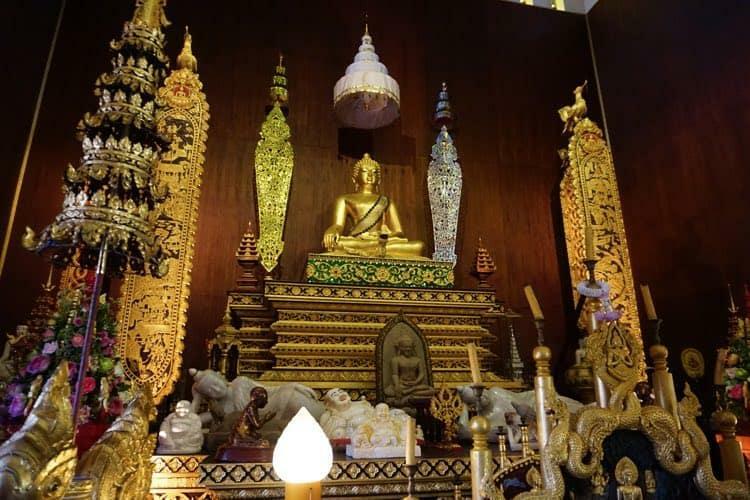 A replica is now on display that is much easier to access than the true version in Bangkok. 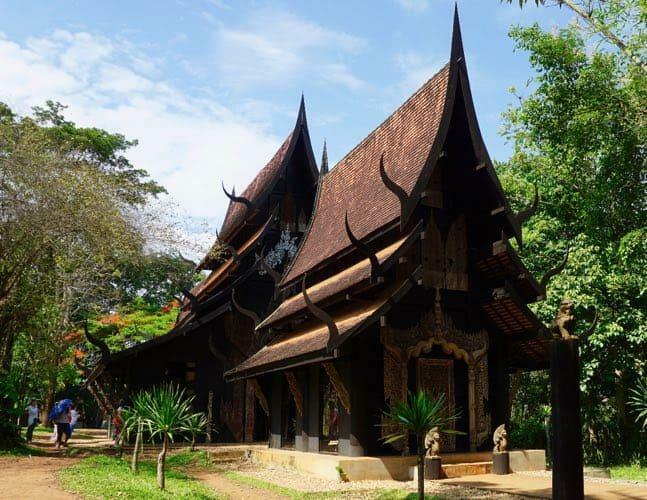 The complex also contains the dark teak-wood Lanna museum, containing a multitude of ancient and wonderful objects. OPENING TIMES: Grounds 0700-1800 Daily. Museum 0900-1700 Daily. COST: Free, though there are opportunities to donate and support the upkeep of the buildings. LOCATION: North west of the town centre, about a ten minute walk from the clock tower. WHY VISIT? 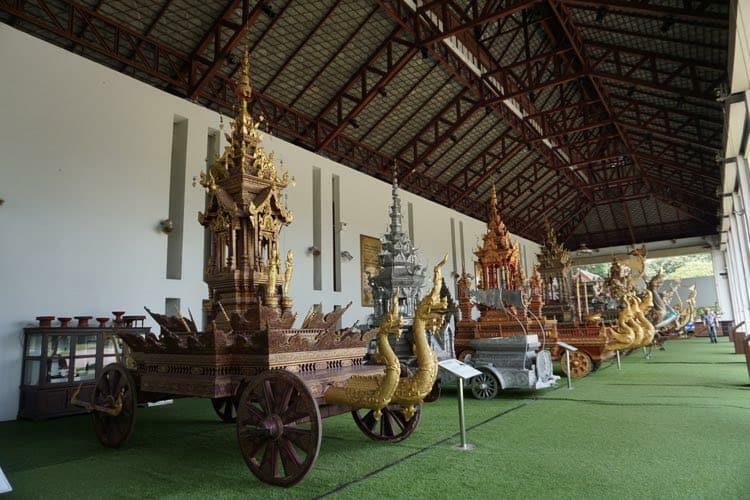 : Stunning replicas of Royal Chariots. OPENING TIMES: 0830-1630 Daily, closed on Mondays. LOCATION: Near the Klang Wand Road bridge across the Kok River, about a 20 minute walk from central Chiang Rai. 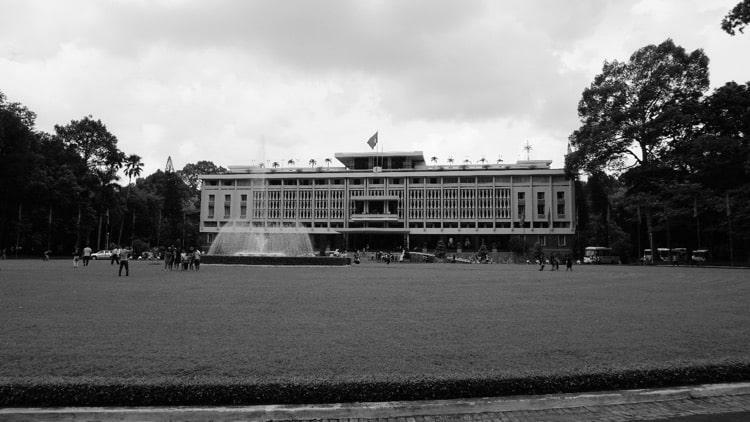 There is very little information about the place online, but if you search for ‘Princess Mother 90th Anniversary Building, Chiang Rai’ on Google you will find it. WHY VISIT? : Cats, cake and coffee. What’s not to like!? COST: Free to enter, but you can’t just sit with the cats, you have to purchase something. The sandwiches were excellent, as was the cake. 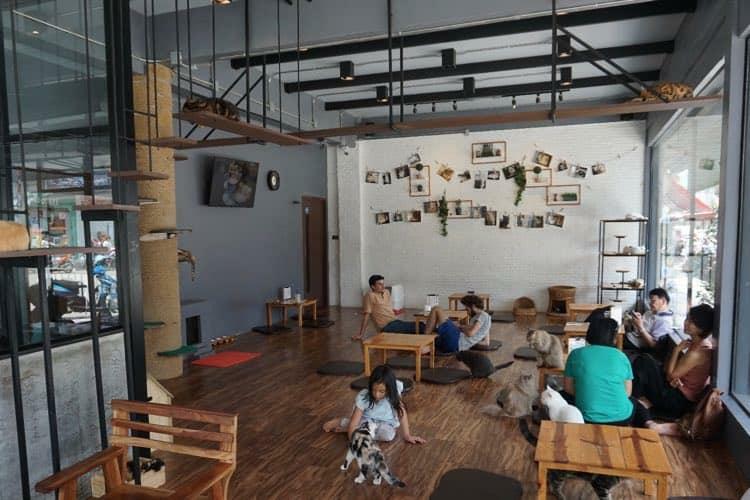 Slightly more expensive than other cafes, but – there are cats! LOCATION: On Phaholyothin Road in the centre of Chiang Rai, about a 2 minute walk from the night market..
MORE INFORMATION: Cat ‘N’ A Cup Facebook Page. WHY VISIT? 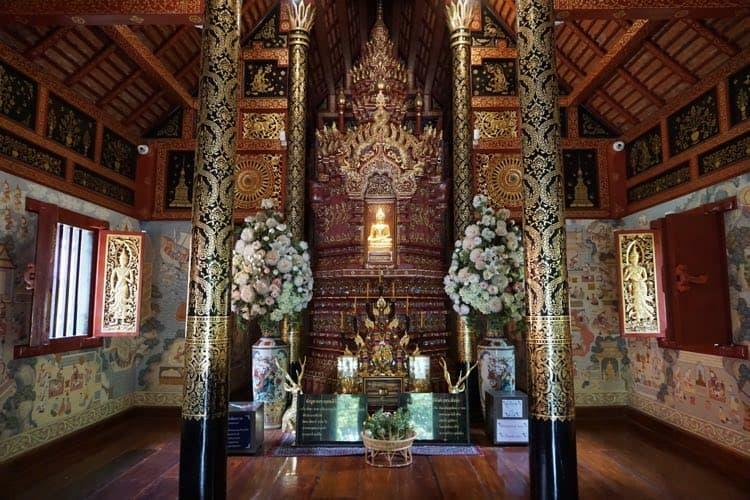 : Dating back to 1385 this is one of the oldest temples in Chiang Rai, which used to hold the Phra Buddha Sihing that is now at a sister temple in Chiang Mai. It is a great example of Lanna architecture, with intricately carved wooden doors and ornate interior. LOCATION: On Pakdeenaroung Road in the centre of Chiang Rai, directly north of the clock tower, about a ten minute walk. WHY VISIT? 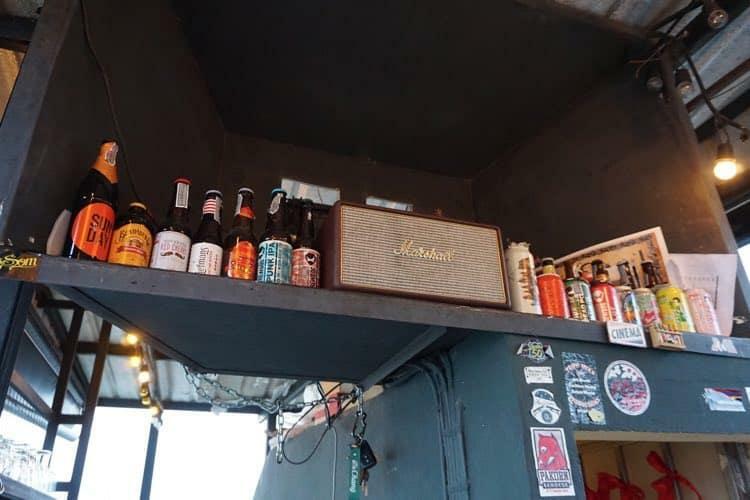 : A chilled out venue looking our over the centre of Chiang Rai, serving craft beers and unique, refreshing cocktails. OPENING TIMES: 1700-Late Daily. Happy hour 1800-1900. COST: Free. Cocktails were around 100฿. LOCATION: On Phaholyothin Road, which is the main street in central Chiang Rai, about a three minute walk from the night market. MORE INFORMATION: Dinner Late Facebook Page. WHY VISIT? 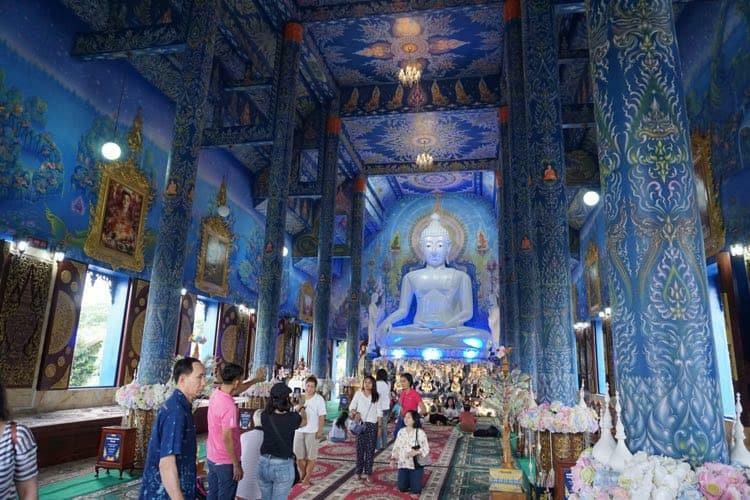 : Chiang Rai’s newest (and bluest) temple – having only opened in 2016. The temple’s full name is Wat Rong Suea Ten which translates as ‘House of the Dancing Tiger’. Like alot of Asia, there used to be wild tigers in this area which would apparently ‘dance’ over the local Mae Kok river. LOCATION: Located across the Kok River, about 3km outside central Chiang Rai. It is walkable in around an hour, but most people choose to get there by tuk-tuk. I would suggest combining it with a trip to the Black House, as it is on the way. WHY VISIT? 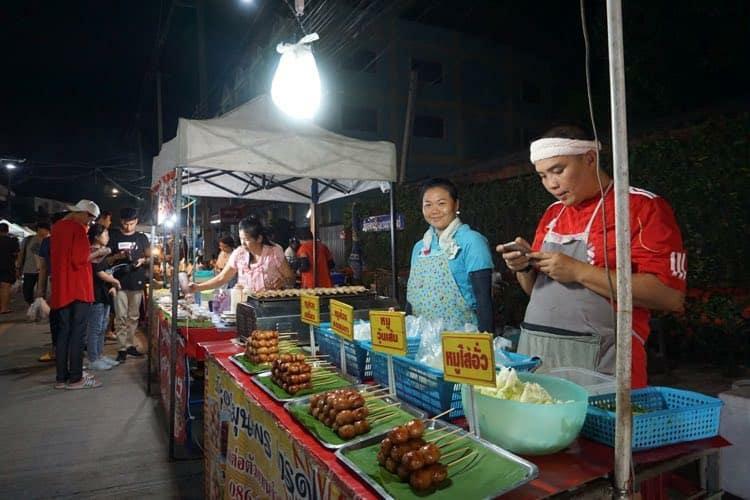 : A nightly market that is completely pedestrianised. A vast array of clothing and gifts, as well as a large food court at the back that became our favourite place eating tasty, cheap food whilst sipping a beer and watching local dancing. LOCATION: On Phaholyothin Road, which is the main street in central Chiang Rai, right beside the bus station. The food court is right at the back. Not the main restaurant style area as you first enter, head for the yellow metal chairs and local food which is deeper into the market. WHY VISIT? : The Black House is the life’s work of Thai artist Thawan Duchanee. It is more that just a single house, there are over 40 separate buildings here, all filled with curiosities of the world. You will find curious carvings, snake skins, crocodile skeletons, furs, antlers and even a toilet filled with shark jaws. Confused? Yes us too. It certainly takes some figuring out, and there is probably no good conclusion you will reach! One thing’s for certain, it’s a unique and unmissable sight. OPENING TIMES: 0900-1700 Daily. Closes for lunch 1200-1300. LOCATION: About 12km north of Chiang Rai, just off of route 1, it will take about 25 minutes to get here. A tuk-tuk should cost you between 200฿-300฿, but combine it with a visit to the on route Blue Temple for added value. WHY VISIT? : A 700 year old temple, and in my opinion one of the best in Chiang Rai. 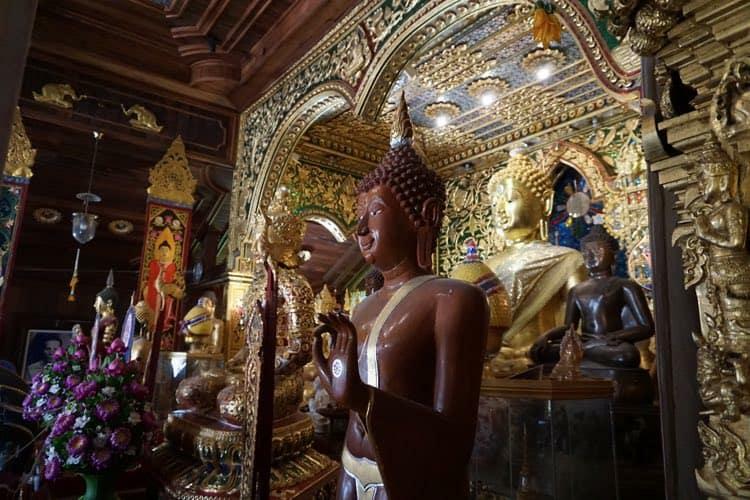 The spectacular golden display, carved wooden ceiling and 400 year old golden Buddha make it well worth the visit. 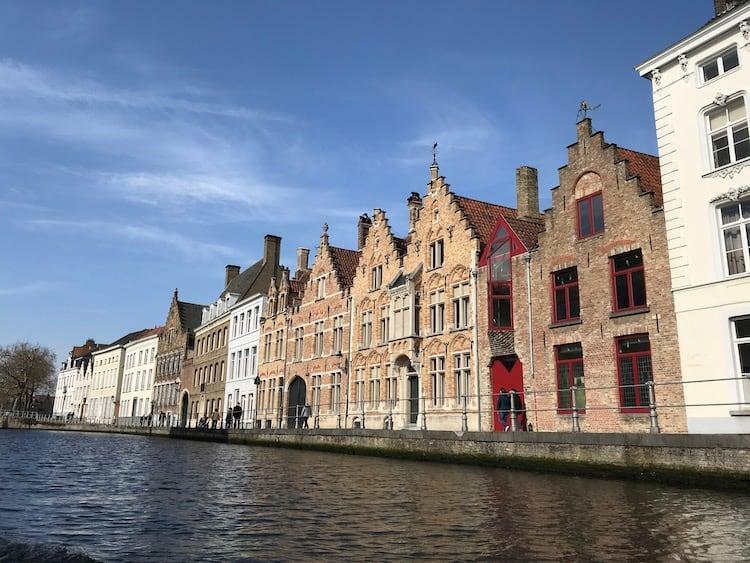 The complex itself is also beautiful, with a red archway leading you in towards unusual statues, stairs with carved serpent balustrades and colourful murals. LOCATION: On the corner of Trirat Road and Uttarakit Road equidistant between Wat Phra Kaew and the clock tower. WHY VISIT? : Singha Park is a beautiful location for an afternoon walk, however when we visited it was a little disappointing. It is advertised as having a small zoo, but this didn’t appear to be open at all and alot of the attractions seemed to be waiting for the main tourist season. The park itself is well maintaining, and has some sweeping panoramas such as the one above, but double check the details as to what’s open before heading out. LOCATION: About 12km southwest of Chiang Rai central, it will take around 20 minutes by car or tuk-tuk. If you want to go, combine it with a trip to the White Temple, as they are only about 5km apart. WHY VISIT? 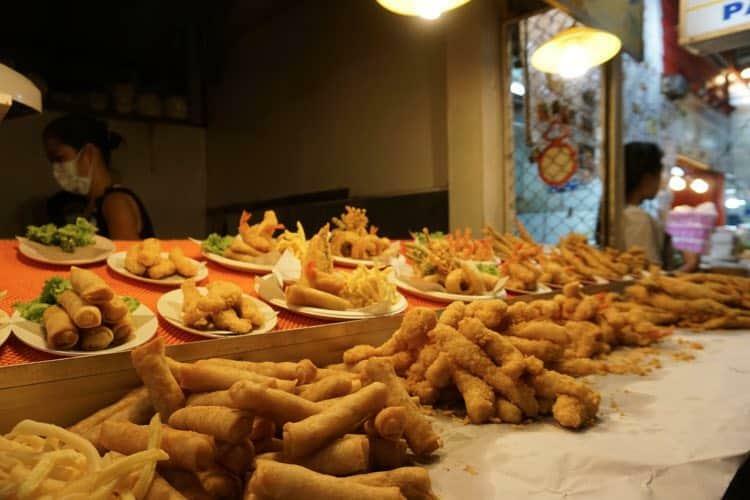 : I know I’ve already covered the night bazaar once on this list, but that was for the incredible food court. 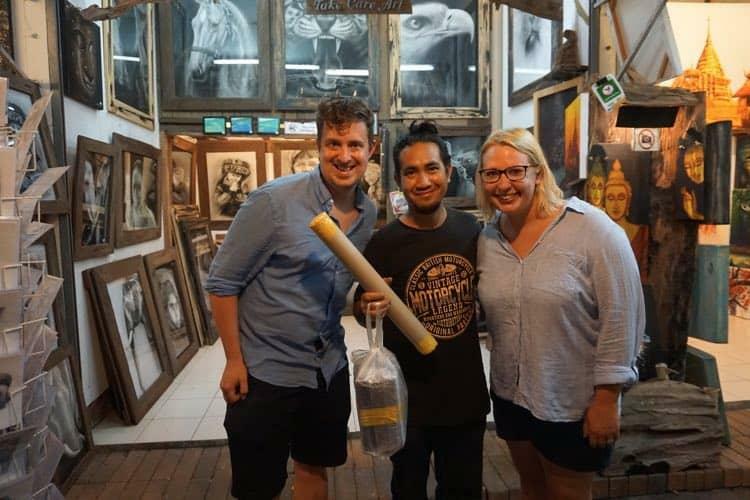 We also found it one of the best places in Thailand to find some unique gifts, with local artists in amongst the knock-off clothing stores. We found the guy above painting some really unique canvases, and snapped a couple up. He took them off of the frames, and tolled them into a tube for us. It cost around 800฿ to ship them back to the UK from the (very helpful!) Chiang Rai post office. WHY VISIT? : We stayed right beside this temple on our first visit to Chiang Rai, so visited it lots! It is a peaceful place, with a huge golden Buddha, that stares down at you through the huge entrance doors and out to the street. It also has some amazing pictures on the wall depicting various scenes from Buddhist teachings, and the caretaker drives an old army Jeep which is often parked up outside, and worth a look! LOCATION: Directly south from the clocktower on Jetyod road, about a five minute walk.